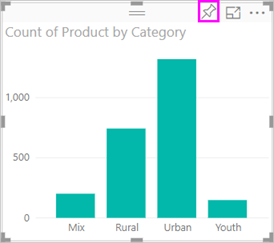 This article gives a quick introduction to creating a visualization in a report using either Power BI service or Power BI Desktop. For more-advanced content, please see Part II. Watch Amanda demonstrate a few different ways to create, edit, and format visuals on the report canvas. Then try it out yourself using the Sales and Marketing sample to create your own report. Open a report in Editing View. This tutorial uses the Sales and Marketing sample. If the Fields pane isn't visible, select the arrow icon to open it. Add a blank page to the report. 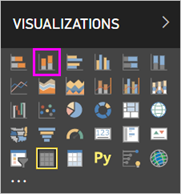 Create a visualization by selecting a field from the Fields pane. Start with a numeric field like SalesFact > Sales $. 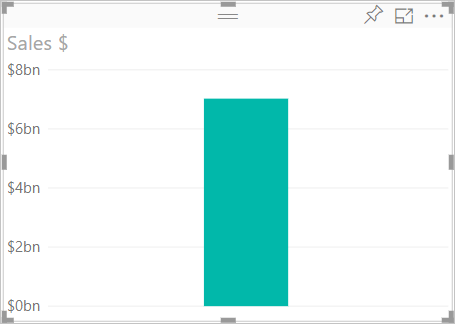 Power BI creates a column chart with a single column. 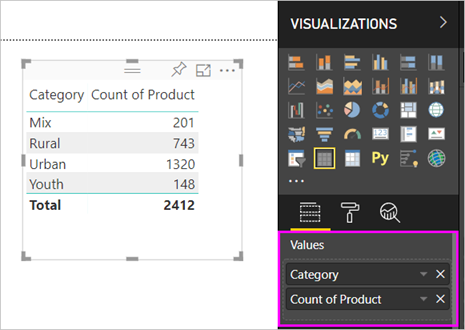 Or, start with a category field, such as Name or Product: Power BI creates a Table and adds that field to the Values well. Or, start with a geography field, such as Geo > City. 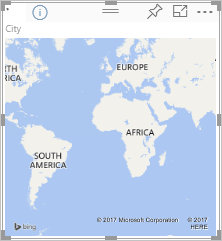 Power BI and Bing Maps create a map visualization. Create a visualization and then change its type. Select Product > Category and then Product > Count of Product to add them both to the Values well. Change the visualization to a column chart by selecting the column chart icon. When you create visualizations in your report, you can pin them to your dashboard. To pin the visualization, select the pin icon . Interact with the visualizations in the report. Do even more with visualizations.